The Food and Drug Administration (FDA) has come under fire in recent months for being too lax in their review of devices through certain pathways, while others have criticized the agency for being too demanding and implementing a restrictive amount of red tape in others. While this may seem contradictory, it is important to note that the FDA and its Center for Devices and Radiological Health (CDRH) are responsible for proving the safety and efficacy of an expansive range of devices, having already identified 1,700 different generic types of devices grouped into 16 medical specialties, or panels. These devices can represent various different risks to patients, and depending on their functions and materials, will have to undergo different types of scrutiny. As technology evolves and medical devices change as a result, creating even more challenges for regulators, clinical trial designs must adapt to the emerging trends. 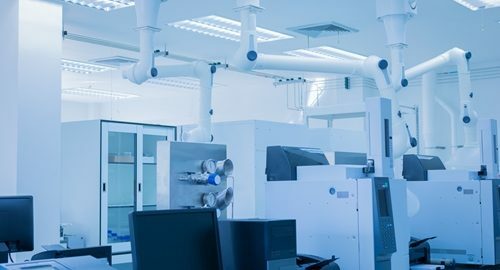 The FDA helps manufacturers and trial sponsors more efficiently navigate their device's path to approval through the issuing of guidance documents, the most recent of which was titled "Adaptive Designs for Medical Device Clinical Studies." Although adaptive trial designs have been in use since 2007, the guidance is intended to better explain the types of devices that might benefit from the approach. In some circumstances, an adaptive design allows for greater flexibility while helping to better manage resources. "An adaptive design for a medical device clinical study is defined as a clinical trial design that allows for prospectively planned modifications based on accumulating study data without undermining the trial's integrity and validity. Adaptive designs, when properly implemented, can reduce resource requirements and/or increase the chance of study success," the guidance, published in the Federal Register read. According to the document, an adaptive design can be used in several different approval pathways, namely premarket approval applications, premarket notification submissions, de novo submissions, humanitarian device exemption applications and investigational device exemption submissions. The FDA urges sponsors interested in pursuing an adaptive design to express such as early on in the process as possible. A submission's statistical analysis plan (SAP) should provide detailed insight into the motivations and reasoning behind the adaptations being sought. "Sponsors are strongly encouraged to discuss the planning of adaptive clinical study designs with the appropriate FDA review division in advance, and the Agency has established mechanisms to conduct such interactions in a timely and efficient manner," the guidance urged. Currently, the FDA is seeking feedback from patient, providers and industry participants on the guidance draft. Those interested in having their comments included have until August 17, 2015, to reach out to the agency.